The ZTE Open is a entry-level phone and specs are : a 3.5-inch HVGA screen and a Cortex-A5 processor clocked at 1GHz coupled with 256MB RAM. The storage side – 512MB in the phone, 2GB on a preloaded microSD card. There’s 3G connectivity (7.2Mbps HSDPA, 5.76Mbps HSUPA), along with Wi-Fi b/g/n, Bluetooth 3.0, GPS and FM Radio. There’s also a 3.2-megapixel camera on the back. The 480 x 320 screen itself is nothing to shout home about. Again, it feels like a flashback to those sub-$150 smartphones that did the rounds back in 2011 and while it’s not the flashiest spec sheet, ZTE (and Firefox) are pitching this at those millions of future smartphone users that haven’t already plumped for a mobile OS. The Alcatel One Touch Fire, this entry-level phone is basically a rehash of the budget One Touch T’Pop announced back at CES, packing a 3.5-inch HVGA TN display, a 1GHz processor, 256MB RAM, 512MB storage and a 3.2-megapixel camera. There are also the usual bunch of radios: WiFi 802.11b/g/n, Bluetooth 3.0, GPS, FM radio and UMTS 900/2100 and 850/1900/2100 (up to 7.2Mbps for download and 5.76Mbps for upload). Underneath the removable 1,400mAh battery you’ll find a microSD card slot (with a 2GB card in the bundle) up to 32GB, as well as a slot for an old-school Mini-SIM card. 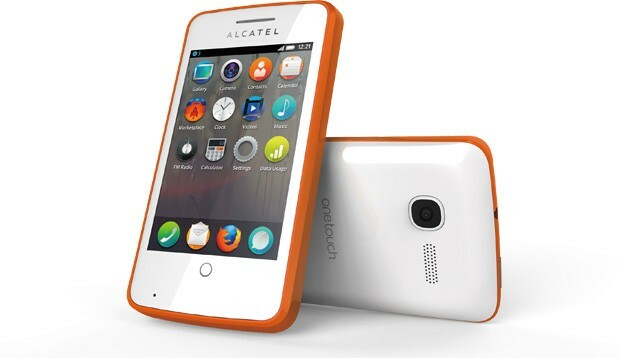 Alcatel One Touch Fire will launch first in China (Mozilla has partnered up with China Unicom), Latin America, and will be the first Firefox OS phone to hit Europe, specifically Poland in the summer through Deutsche Telecom. As the world’s first smartphone to feature the Mozilla Firefox OS, it promises to gain a huge amount of attention in comparison to its tiny size – 500 million Mozilla users can’t be wrong! This entry-level, fun and bright smartphone is purpose built to deliver a simple, smart, easy-to-use first time smartphone experience. It’s the perfect choice for those moving gently from a feature phone to a smartphone – the large 3.5 inch display makes for a smooth HTML5 experience and apps are discovered in context while you surf the web! The Mobile World Congress 2013 in Barcelona is green now with Mozilla that officially launching their Firefox OS for mobile phones and are proud to announce that they have deals with 18 carriers, a partnership with Qualcomm to use their Snapdragon chipsets and four manufacturers – ZTE, Alcatel, LG and Huawei. These operators include: América Móvil, China Unicom, Deutsche Telekom, Etisalat, Hutchison Three Group, KDDI, KT, MegaFon, Qtel, SingTel, Smart, Sprint, Telecom Italia Group, Telefónica, Telenor, TMN and VimpelCom. 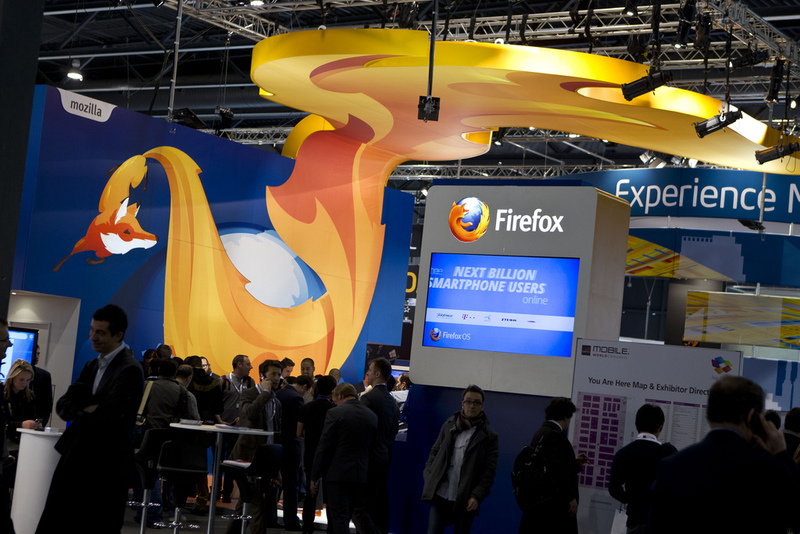 The first two also showcased phones with Firefox OS at the MWC. The first Firefox OS devices will be available to consumers in Brazil, Colombia, Hungary, Mexico, Montenegro, Poland, Serbia, Spain and Venezuela. Additional markets will be announced soon. The Firefox OS uses HTML5-based apps that run on technology shared with the Firefox browser and initially targets the entry level segment. The goal is to create an open source OS, that web developers can easily create apps for and post them on the Firefox Marketplace. You can check out Marketplace if you have Firefox Aurora for Android. There you’ll find social networking apps for Facebook and Twitter, Nokia’s HERE mapping solution, Box integration, games from EA Mobile and Disney Mobile Games. The OS has the same commitment to privacy, security and customizations that the Firefox browser is known for and places a strong emphasis on search. The Firefox OS also supports video calling over Web RTC – a browser-based tech, also available on the Android Firefox Aurora app. It will eventually make its way to desktop browsers too (Firefox and Chrome at least). The Web enables limitless innovation and with Firefox Marketplace. Every Web developer can easily create and distribute HTML5 apps so you can find an app for whatever you want – even local, niche and emerging topics. Firefox Marketplace will include popular apps such as AccuWeather, Airbnb, Box, Cut the Rope, Disney Mobile Games, EA games, Facebook, Nokia HERE, MTV Brasil, Pulse News, SoundCloud, SporTV, Terra, Time Out and Twitter as well as personally-tailored and local apps that are relevant to users in their respective regions. Firefox Marketplace will make smartphones capable of offering more powerful and immersive Web app experiences. The Web now has the potential to be the world’s largest marketplace with the new Web APIs Mozilla developed. The open Web platform and these new Web APIs also enable developers to distribute apps directly, with no need for gatekeepers, true to the Mozilla mission of creating choice, innovation and opportunity on the Web. 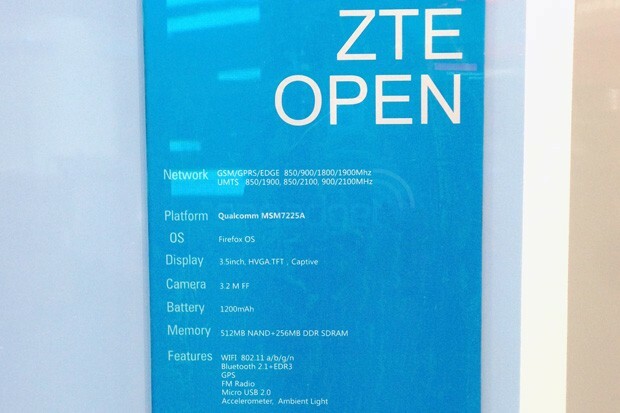 ZTE should be unveiled at the MWC two new devices: the Grand ZTE Memo and ZTE Mozilla! 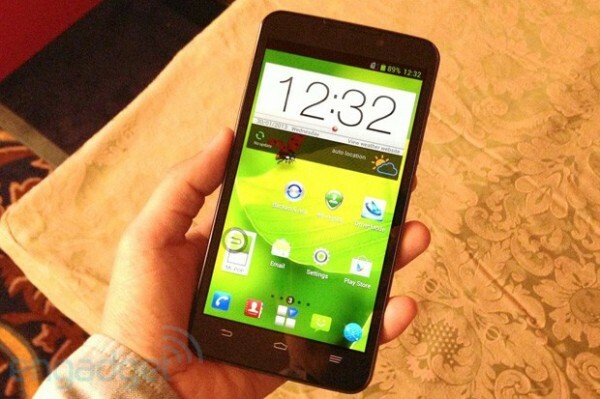 ZTE Memo Grand is a cousin of ZTE Grand S announced at MWC, and will features a 5.7 ​​inch touchscreen with a resolution 720p, a quad-core processor Snapdragon S4 Pro clocked at 1.7Ghz and a 13 megapixel camera sensor , all under Android 4.1.2. 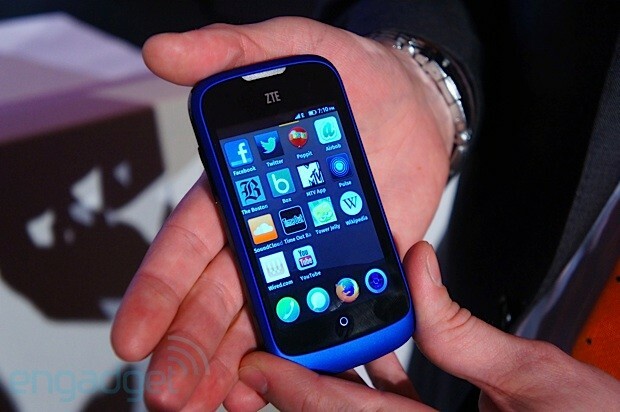 ZTE Mozilla is the new Chinese manufacturer since this will be the first smartphone runs Firefox OS! No details for the moment on this device. The rumored for a while now. 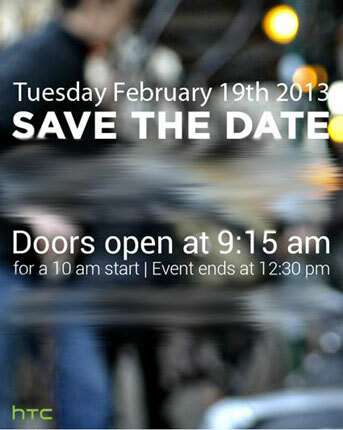 HTC held a conference in London on February 19 to present its new products. Of course, all eyes turn to the HTC M7, successor of One X. Pocket-Lint have confirmed the information. The UK site has indeed talked to the little guys from HTC that have confirmed their event. They have indeed sent invitations to the presentation. The M7, originally planned to be presented at MWC, could therefore arrive early for our greatest happiness. HTC M7 runs Android Jelly Bean would turn with the new Sense 5. Specifications side, the HTC M7 would have a design with aluminum unibody chassis, a SoLux 4.7-inch full HD 1080p display with (468 PPI) ,powered by a quad-core processor Qualcomm Snapdragon S4 Pro clocked at 1.7 GHz with 2GB RAM, 32GB capacity, sound Beats Audio, a video camera for HD 2MPx, a BSI sensor 13MPx F/2.0, an IR port or a battery of 2300mAh.